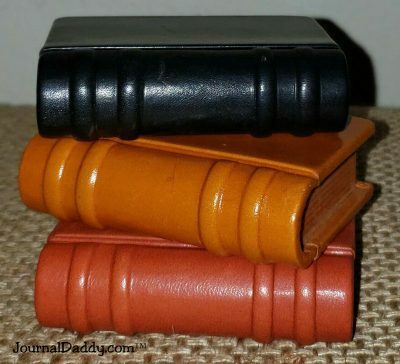 Levenger leather mini book paperweights in a set of 3. Probably made in Italy. The size of each is 2-1/4 W x 3 H x 7/8 D and they weight 1/2 pound each.